Just last week I decided to catch a movie downstairs at my place. It has always been ultra convenient having GSC cinemas located below where I live and I really do will miss that convenience the moment I move away. 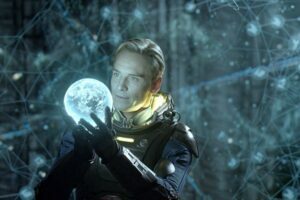 Anyhow, I was stuck at work and busy working so when I made the decision to get tickets via my iPhone GSC app, I chose Prometheus. After reading a summary of the movie as shown above, I thought it couldn’t have been such a bad show since it was directed by Ridley Scott, the same guy who directed Gladiator and Alien. 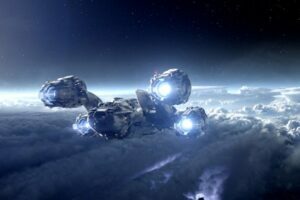 The story starts at the point where humans have already gotten used to space travel and now they are travelling far into space. But just think Star Trek with Jean Luc Picard exploring the universe but without warp speed. So yeah, they travel extremely slowly and with the usual “logic”, we have to put humans into a stasis sleep in order for them to survive the ultra long journey. Why are humans travelling into space this time around? Apparently to find out the true origins of humanity. Well apparently we were created by Gods hence through some historical find, we were created by aliens. Hence the whole super ultra long space travel to the distant stars to find our creators. The movie was indeed action packed and the details and the graphics of the show was top-notch. Definitely an interesting storyline, of course there are certain weird questions that arises as the story progresses. Believe you me, you might end up having more questions after the movie. At the end of the day, it wasn’t too scary of a movie especially since somehow somewhere I saw the tag “horror” on the show hence my initial guess. But aside from the dark view of things, it ain’t too scary and it does entertain you. Well, it did for me. Also, I loved the ending! Made some sense to me. Overall, I give this show a good 8/10 rating! Next postThe Apple Store Employee Rule Book! Shoulda watched it at IMAX – it'd blow your mind.